Bereft of sanitation, women and young girls have no option but to go in groups to relieve themselves at secluded spots behind dense bushes. NEW DELHI: Anita Devi wakes up early every morning before others. She leaves her house and calls out other womenfolk in the neighbourhood. “Hum latrine ja rahe hai, kisi ko jana hae? (We are going to defecate. Does anyone want to come? )”This scene repeats every dawn at the Gyaspur slum cluster in south Delhi’s Sarai Kale Khan. 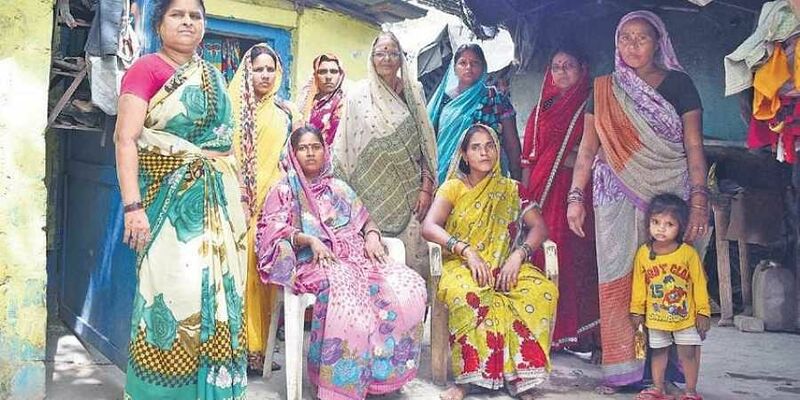 The Gayaspur cluster is home to 124 people — 65 men and 59 women. For decades, the families here defecate in open due to unavailability of toilets. Moved by the distressing and miserable condition of the women and children at the slum, law students Shabnam, Sonali Chauhan and Nitesh Kumar Mishra on July 25 filed a petition with the Delhi High Court for providing sanitation in the area. “Despite its location in the heart of Delhi adjoining the Ring Road, it is bereft of any basic amenities like toilet, bathrooms, anganwadis,” they highlighted in the petition. According to the petitioners, when the authorities, including the DDA, the DUSIB and the Ministry of Women and Child Development, were approached, they claimed that the slum falls in the river bed. However, the petition said, it’s “sham, farce and fake ground for not providing the basic amenities”. The High Court has issued a notice to the Swachh Bharat Mission Directorate, the Delhi government, the Delhi Urban Shelter Improvement Board, the DDA and the Police Commissioner, seeking their response within three weeks. In 2015, slum dwellers Ashok Yadav and Salan Kumar had sent a letter to the Delhi Chief Minister requesting that a toilet be constructed in the ‘basti’ but it was of no avail. This time too they still doubt relief will come anytime soon. Local councilor Darshana Jatav claims that the south civic body had tried building a toilet in the slum.